Being a self-confessed geek of all things audio, it’s no surprise that Mike Russell is the creator of Music Radio Creative and founder of the New Media Europe conference. He’s long had an interest in radio, so much so that as a child his parents installed an FM antennae on their home so he could receive a wider range of radio stations. This is where his interest was piqued. Mike has worked in hospital, local and community radio, giving him a career where he has dipped a little into everything. His experiences of presenting, promoting and producing radio have since benefited him as his love for podcasting has grown. With podcasting, you don’t need a fancy studio full of fancy dials. In fact, these days you need very little technical know-how in order to have a podcasting success on your hands. And Mike Russell has some great tips to get your success started today. Around 2004, Mike fancied giving voice over work a go, so he created a website and used it Paypal. Amazed at receiving his first American customer, he noticed something. And in 2005, Music Radio Creation was set up. And for a long time he was only selling his own voice, before adding additional voicing talents. By attending podcasting conferences, he built face-to-face relationships with podcasters, which as a result, earned him the chance to work with them. Mike found that working from home was very different from the hustle of a radio station. However, even though it’s something he much prefers, it took time to get used to. When you’re working from home, particularly for yourself, you have even more opportunities to procrastinate. You have to be your own boss and be disciplined. He tried many things to help, including downloading tools which block access to social media. Of course, avoiding distractions is a challenge of wherever you work, but Mike has benefitted from scheduling his days, allowing him to balance everything he wants to do. This is handy when he wants to be everywhere on new media. However, he aims for quality over quantity. Rather than targeting vanity metrics of having large numbers of followers, he’d much prefer a smaller audience with a higher rate of interaction. When you want to produce and publish a podcast yourself, it hasn’t got to be complicated. Sure, if you watch Mike’s studio tours, you’ll see he has microphones, mixing desks and a lot more besides. Audio editing software. Audacity is a great free tool, but Mike uses Adobe Audition, as do many other podcasters. And a hosting platform. Spreaker has free and paid plans available. There is minimal technical know-how required, and it is always getting easier. You are going to benefit from having your podcast in all the big directories. Different people download their podcasts from different places, so make sure you don’t miss people out. These include iTunes, Stitcher, Soundcloud and Google Play. They are where a majority of your audience will come from. And when you have your hosting platform set up, your podcast came appear on iTunes automatically without you doing anything. Podcasts grow at the optimum rate when they’re released every week. Of course other podcasts find that the best frequency is daily. Although, a common problem with daily podcasts, is that listeners can quickly fall behind, and the task of catching up can be a daunting one. But the key to test what suits you and your audience. What works for one podcast isn’t going to work for another, so you are best off testing different frequencies to see which works. And the same goes for how long a podcast episode should be. It’s best to aim for a length of between 20 and 60 minutes. But shorter podcasts can work just as well, as can longer ones too. Again, you should experiment, but ensure the podcasts are as long as they need to be. Cover you the information you need to, whilst remaining entertaining for listeners. Anyone can have a podcast. You’d be surprised to see the hobbies and industries for which popular podcasts exist. After all, the knitting, yarn, and comedy podcast Shinybee is one of the most popular and has a dedicated community. If there isn’t a podcast for your niche, then there is definitely an opportunity waiting for you. But on the other hand, you shouldn’t be put off if podcasts do already exist. In podcasting, you’re not in direct competition, and what you’ll find is that many people will subscribe to them all. After all, your voice is unique to you. YouTube is a medium which is consumed differently to podcasts, as content tends to require focused attention. Whereas, with a podcast, you can listen to it whilst literally doing almost anything. And Mike has been creating videos since 2009. Both work in the same way, where people can subscribe to receive your latest updates. And both are great tools for driving people towards your main website or business. However, you can’t just put videos up and hope for the best. So Mike recommends having your social accounts connected. This allows you to utilize the following you have on other platforms. Plus, YouTube decides how to rank you based on the good quality views a video gets in the first 24 hours. So ensure you’re giving viewers what they want, which you can discover by seeing what other people are talking about in their videos, and questions which are commonly asked. You can also use Google AdWords to help promote your channel and videos, which is especially handy for targeting people who have watched you videos before but not subscribed. It’s also important to use links to ensure your audience go to the right places afterward. Putting links in the description is handy, as is the use of cards in the video. You can also make the most of the new End Screen Cards, where you can have multiple links to other videos, your website, or to a product you discuss. It’s common to not want to produce videos where you show people who you produce the things they pay for. But in Mike’s videos, he does show people how to do the things he does. By doing this, you show you’re the authority of your niche. Plus they help your audience to like, know and trust you. Don’t think of it as revealing your secrets. Sure, it is something viewers might try to do themselves. But they may just as easily discover it’s not as easy as they thought and still pay you to do it for them. And if people do copy you? Take it as a compliment. And if you’ve helped them, and especially saved them money, you’ll be the first person they come to next time and you’ll be highly recommended. It’s worth remembering that despite chefs going on TV showing people how to cook all their recipes, people still go to their restaurants to eat. It is increasingly becoming harder to enter the market of podcasts and YouTube and to build up a big following; unless you do something absolutely mind-blowing. But Mike sees that content will become a lot more about their quality and merit, rather than just keywords. You still need to create content which is really interesting and based on your subject matter. So always try to be better than everyone else, and people will soon start to notice. 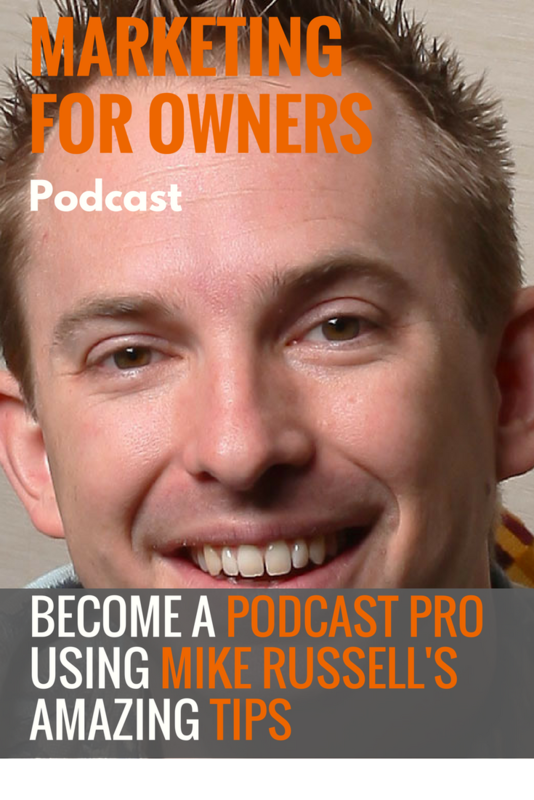 In 2013, Mike Russell set up a UK Podcaster Conference, which has since evolved into the New Media Europe Conference. It covers everything from podcasting, blogging, social media, online videos, and a lot more besides. So if this is something which interests you, then make sure you check it out so you’re one of the first to know about the 2017 conference. 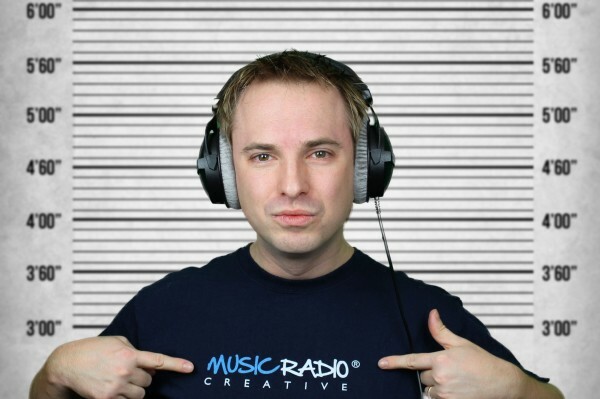 And if you’re interested in audio, and need help creating jingles for podcasts, then also makes sure you visit Music Radio Creative.